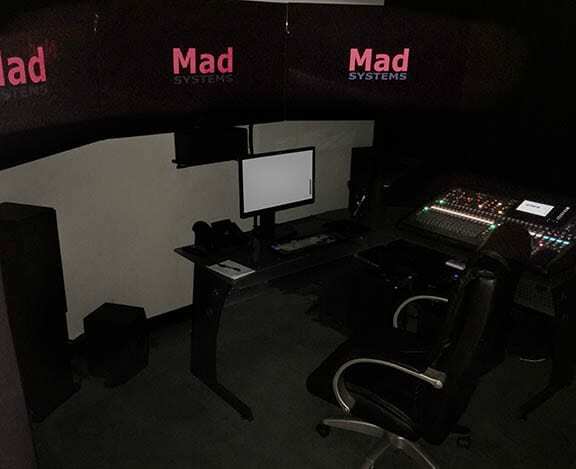 In order to support our client’s project work, Mad have installed a major upgrade to our audio/video edit capabilities. The new edit suite is capable of handling up to four simultaneous 4k video streams and up to 8.1 audio configurations. Based on the Adobe Premiere software package, a high end computer and fast graphics card allows us to produce and edit video, generate graphics and in particular re-render existing media so that we can customize it for use on our systems or for our interactives. A digital 32-channel X-32 audio desk provides a lot of flexibility when it comes to handling audio both from the video editor and from additional input sources. The system’s first use was for the Corpus Christi museum’s new H-E-B science gallery, where various audio files and video had to be edited and graphics was produced for several of the interactives produced by Mad.